There are no comments for Civil War Soldier, 1863. Click here to post the first comment. CIVIL WAR SOLDIER, 1863. 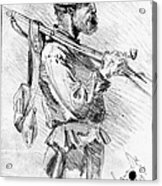 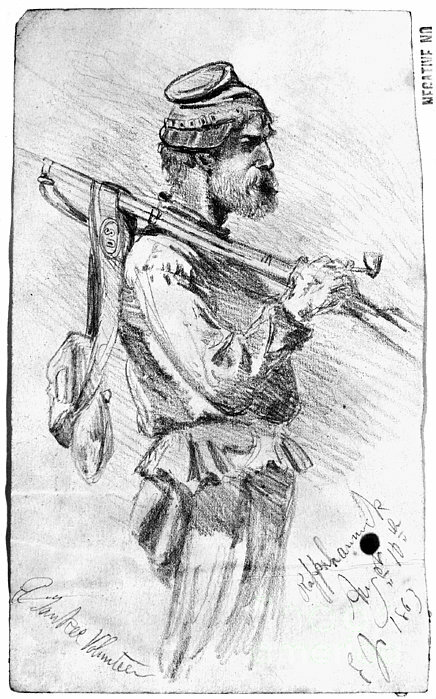 'A Yankee Volunteer.' 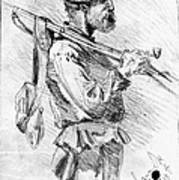 Pencil drawing, 1863, by Edwin Forbes (1839-1895).